"For companies to claim that they are morally in the right by having devised loopholes is ridiculous, even if their behaviour has been legal. Any society rests not just on laws but on conventions that make life decent and tolerable. If every citizen pushed right up against the limit of the laws, it would be unworkable. Society relies on people having a degree of mutual respect. Companies rely on a certain level of public spending, for example on the education of the people they employ. All this relies on people and companies paying taxes." This is one of several reasons why Google's boss Eric Schmidt has recently been wrong - dumbfoundedly wrong - in his claim that everything's just fine with his company's tax compliance. Collier is right (even if we don't agree with every last word of his article) - but there's plenty more to be said on this topic. When it comes to corporate taxes, as Collier suggests, there is a large grey area between the two poles of tax evasion (by definition, illegal) and tax avoidance (by definition, not illegal, but still involving getting around the spirit of the law. Corporate CEOs have a choice as to how aggressive to be when pushing up into this grey area, towards (and sometimes over) the edge of the law and into the seriously dark side. This does look very ugly for Google: a clear choice by Schmidt, it seems, to push right up against the boundaries of the law, effectively taking the decision to de-fund hospitals and schools and the resources for filling those widening potholes in the roads, and so on. There is no CEO, anywhere in the world, who has a fiduciary duty to push aggressively, as far as he or she possibly can, up against the boundaries of the law. So Schmidt is wrong: quite wrong. Either he doesn't understand the issues, or -- perhaps more likely -- he is an example of the situation where it is difficult to get a man to understand something, when his salary depends on his not understanding it. And make no mistake: corporate tax avoidance feeds directly into corporate CEOs' stock options and bonuses and so on. Yes, we need to hold governments' feet to the fire, to tighten up the tax system as far as possible. But we also need to hold the feet of the CEOs of those aggressive corporations to the fire. A little while ago, we wrote about Schmidt stating that "I am very proud of the structure that we set up. . . . It’s called capitalism," picking his argument into little pieces and then revealing the true nature of his assertion. Foolish? Self-serving? Evasive? 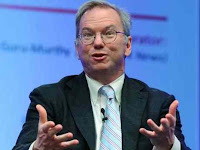 Take a look at our blog entitled Google boss Eric Schmidt takes a dim view of capitalism, then you decide. The response of any seasoned economist when they see the word 'rents' is to reply with a three-letter word ending in '-x' : a word that has been making unusually large numbers of newspaper headlines in recent months. We like the word so much that we even put it in the three-word name of our organisation.